Hastily chosen as Michigan’s new capital in 1847, Lansing overcame derision and setbacks to become a booming metropolis. Yet, its rich history hides chilling secrets. A young boy plays tricks on the unwary at the Capitol Building, where he fell to his tragic death over a century ago. One of Lansing’s founding families keeps a spectral vigil over its homestead, the Turner Dodge Mansion. Malevolent spirits stalk the derelict Michigan School for the Blind- believed to be either neglected former students or victims of an ancient secret society. A witch’s vengeful curse follows those who trespass on Seven Gables Road, one of the state’s most haunted stretches. 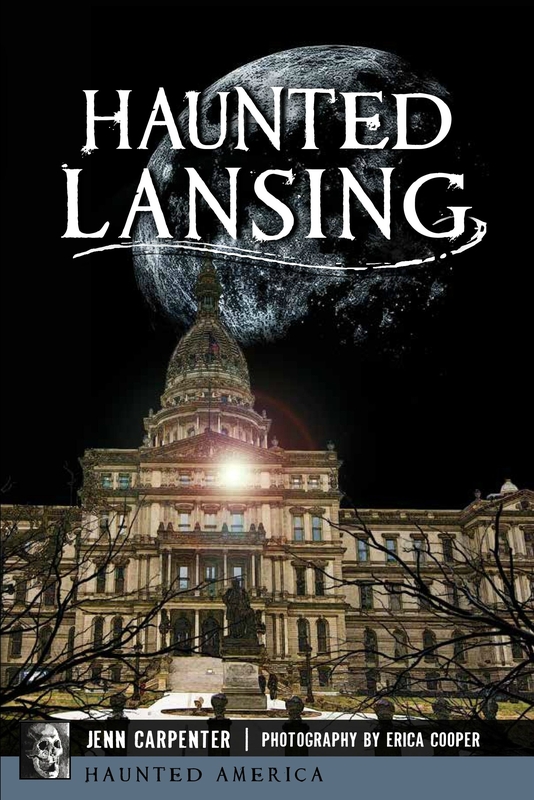 In this collection of terrifying tales, local author and founder of Demented Mitten Tours Jenn Carpenter introduces readers to the dark side of the Capital City. COMING SEPTEMBER 3, 2018 FROM ARCADIA PUBLISHING!